Have you been made redundant? Unemployed? Seeking work? Are you thinking of change? 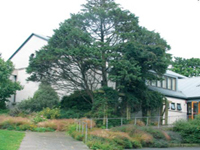 Taney Employment Centre is based in Taney Parish Centre. It opens on Thursday afternoons from 2pm to 5pm. A warm welcome awaits you! Contact: 01 298 4705 or just call in!